On Tuesday, January 15, Members of Parliament voted on arguably one of the biggest issues in a generation - the Brexit Withdrawal Agreement. Going into the vote Theresa May and her government was expected to lose the vote on her arranged deal, with members of her own party as well as the opposition parties poised to vote it down. The result of the vote saw 202 MPs vote alongside the government, while 432 MPs voted against it - a 230-vote defeat dubbed as one of the biggest losses of a government since the 1920s. What happens next is unknown, with Labour leader Jeremy Corbyn tabling a no confidence vote which is expected to be debated and voted on, on Wednesday, January 16. 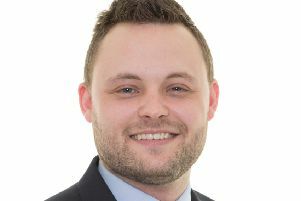 Mansfield’s Conservative MP Ben Bradley voted against the deal and has been outspoken in his view that the Prime Minister’s deal was “not the right option” for the country. “It was not the right deal for the UK, as it tied us to taking rules we had no say over and asked us to give up £39bn for no guaranteed outcome, among other issues. “In response to the defeat, the Prime Minister did the right thing and says that she will now seek a majority for a different plan in the House. “That plan cannot include a ‘backstop’ with no exit. “I firmly believe that a ‘Canada-style’ free trade agreement which is a looser relationship with the EU allowing us more control and freedom, could win the support of Parliament. “A combination of Conservatives, DUP and Labour leavers could deliver that through the Commons. Gloria De Piero, Ashfield’s Labour MP, also voted against the government’s deal as she believes it is “not comprehensive enough” and wants a Labour government to take over. She said: “The Prime Minister has clearly lost the confidence of Parliament and has now fallen to a humiliating defeat. “She has not even tried to build a consensus with opposition parties in parliament, and has tried to blackmail the country into either supporting her terrible deal or crashing out of the EU without a deal. “We have been clear from the start that we want a new, comprehensive customs union and a strong single market deal that guarantees the UK won’t fall behind on important rights and protections. “Ashfield businesses have told me time and again that this is essential. However Mark Spencer, Sherwood’s Conservative MP, believes it would be wrong to “overturn or delay” the referendum result and sees Theresa May’s deal as “the only option to bring people together”. He said: “I voted alongside the government because the deal Theresa May brought back is the only option on the table offering a real solution to Brexit. “In the Houses of Parliament there are a lot of MPs on the Labour side and in the Conservative party who say what they will not support, but nobody is giving an alternative plan to the deal. “At the minute politicians need to be realistic and remember that there was a democratic process and people voted to leave the EU. “The public will start to lose faith in politicians if the establishment extends or delays Brexit from happening. “People want us to have control of our borders and want us to stop paying money into the EU, to be free of the courts and have control of our own destiny. “The prime minister’s deal I believe recognised that 48 per cent of the public also voted to remain - it compromised to both sides by keeping a strong relationship with the union while helping to give us control of borders and getting us out.